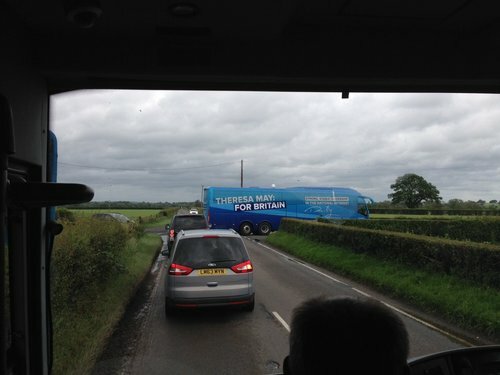 LATEST: ICM poll puts Conservatives on 45 percent, Labour on 34 percent ahead of the general election. 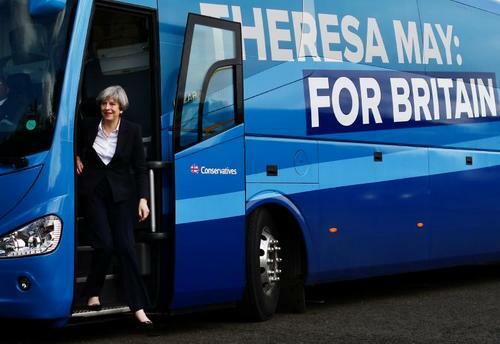 Reuters UKPrime Minister Theresa May is on track to win 305 seats in Britain's parliament in an election on Thursday, 21 seats short of a 326-seat majority, according to a projection by polling company YouGov on Monday. British new car registrations fell 8.5 percent last month, an industry body said, blaming the decline on the run-up to this week's national election and the effect of an April tax hike which boosted demand earlier in the year. UK PM Theresa May makes a statement following the attacks in London over the weekend. She said that the national security threat remains at severs, that police have put additional security measures in places and that it is now clear that the victims came from a number of different countries. Theresa May says that counter terrorism policing budgets have been protected. Theresa May's spokeswoman says that the government is working closely with police on election security and that robust plans have been in place for weeks. 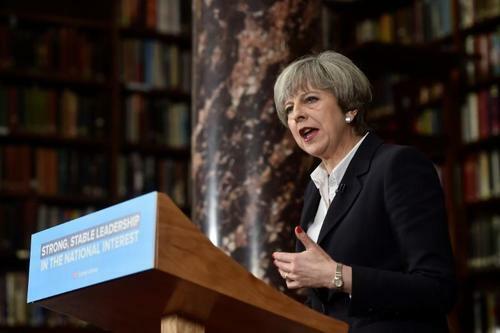 ICYMI: PM Theresa May resumes campaigning for the general election with a speech at the Royal United Services Institute in Whitehall. Violent attacks on civilians are designed to sow division. Troublingly, the multiple murders by militants in London’s city centre on Saturday night come at a time when Britain is already deeply fractured along economic, geographic and demographic lines. That shows why Prime Minister Theresa May’s repeated pledge to make Britain “strong and stable” ahead of Thursday’s election resonates, but also why it is so hard to deliver. Read John Foley's latest commentary on the UK election. Reuters UKU.S. 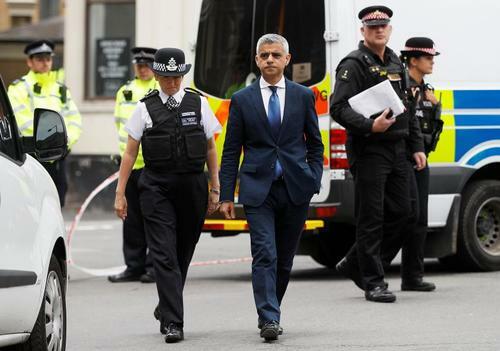 President Donald Trump accused London Mayor Sadiq Khan on Monday of making a "pathetic excuse" over one of his comments in the wake of the attack that killed seven people in London. 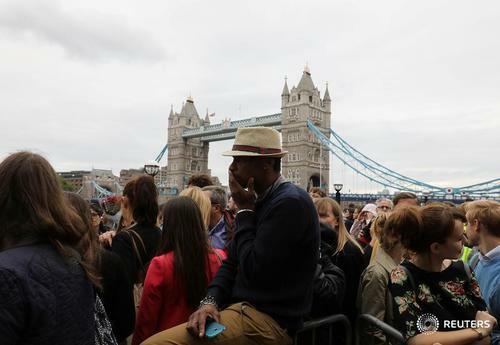 Reuters columnist Peter Apps, who lives near Borough Market, looks at how British civilians -- and the security establishment -- are responding to the latest London attacks. Commentary: Calm down, America. Attacks won't break Britain. 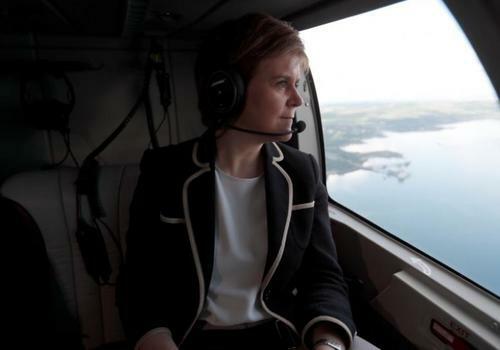 Reuters UKScottish leader Nicola Sturgeon said she expects Scotland to become independent from the United Kingdom by 2025 in an interview published on Monday. 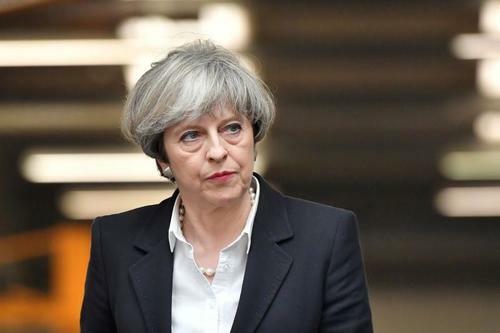 Reuters UKBritish Prime Minister Theresa May plans to set up a network of nine trade commissioners around the world to boost trade after Brexit, her governing Conservative Party said on Monday. 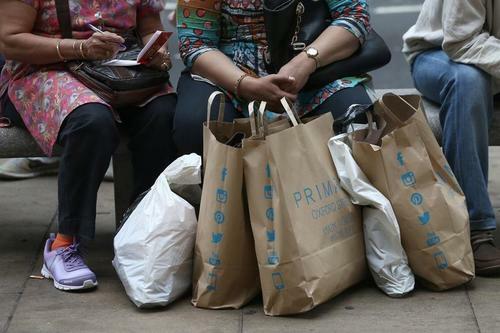 Reuters UKBritish shoppers kept a tighter grip on their credit cards last month as they felt growing pressure from rising inflation, new figures showed just two days before they vote on whether to keep Prime Minister Theresa May in power. 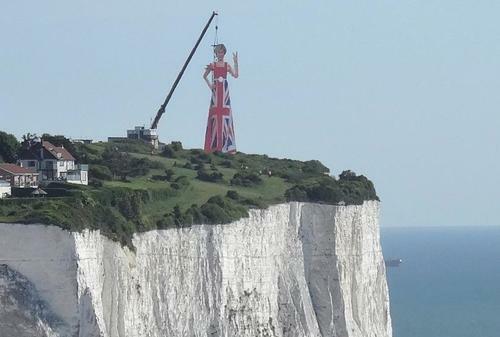 Reuters UKA giant scaffold bearing the image of British Prime Minister Theresa May appeared on the cliffs of Dover on Monday, complete with a Union Flag skirt and a rude hand gesture indicating to the rest of Europe that it should go away. Reuters UKEU leaders hope Theresa May is re-elected on Thursday, ideally with a bigger majority, even though the British prime minister has said this would help her drive a harder bargain on Brexit. Reuters UKBritish Prime Minister Theresa May's lead over the opposition Labour Party ahead of Thursday's national election has narrowed to just 1 percentage point, according to a poll by Survation for ITV television on Monday. 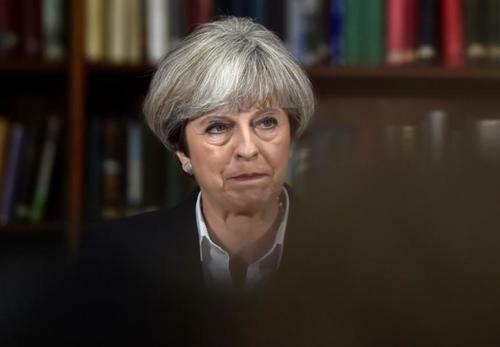 Reuters UKTwo days from a parliamentary election that has been upended by a van and knife attack that killed seven people in the heart of London, Prime Minister Theresa May's record on security dominated the campaign agenda on Tuesday. 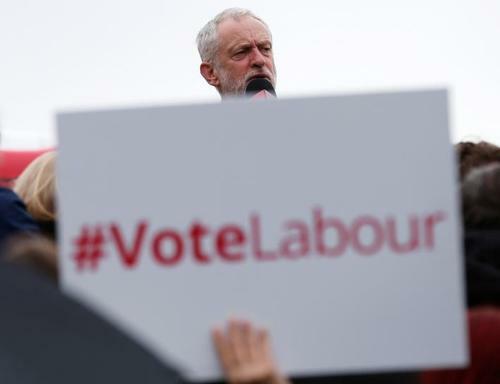 Reuters UKWith two days to go until Britain holds a national election, opinion polls have shown that Prime Minister Theresa May's lead over the opposition Labour party has ebbed over the last three weeks, with some putting her majority into doubt. 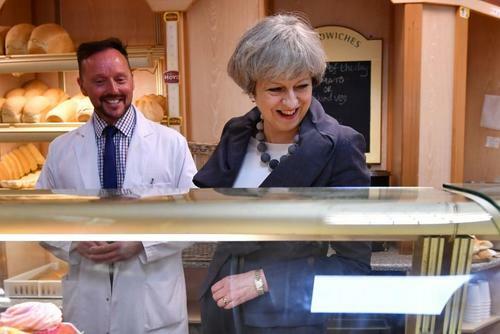 Reuters UKPrime Minister Theresa May is on track to win 304 seats in Britain's parliament in an election on Thursday, 22 seats short of a 326-seat majority, according to a daily projection by polling company YouGov published on Tuesday. British police say Youssef Zaghba was not a police or MI5 subject of interest. 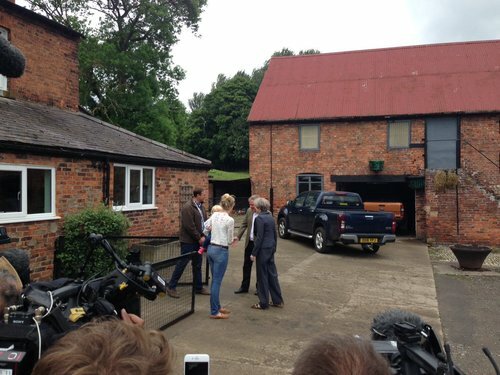 Prime Minister Theresa May campaigns in Berkshire. Reuters UKThe third Islamist militant who carried out an attack on Saturday in London that killed seven people was a Moroccan-Italian called Youssef Zaghba, an Italian intelligence source said on Tuesday.